"How shall we escape, if we neglect so great salvation?" I would call your attention to the words "so great" used to described this salvation that he wrote of. I would also call you attention to another question -- "Saved from what?" The GOD who created the universe is perfect in righteousness, holiness, and in power. But when Man rebelled in the Garden of Eden (see Genesis chapter 3) he fell into a nature of sin which is at war with His holy nature. GOD, who is just, cannot permit such evil in His presence, and therefore swore His eternal wrath [Psalms 95:11] in an eternal lake of fire. This lake of fire and brimestone [Revelation 20:10] was initially prepared for the Satan who deceived man, and was the very first to rebel against GOD. Unfortunately, as we arrive in this world, we find ourselves being the offspring of the fallen ADAM whom Satan deceived. Each of us were born into this same spirit of rebellion [Psalms 51:5] first demonstrated by Satan as is recorded in Isaiah 14. Therefore, we fall into his same condemnation. Do not allow this to be your ultimate fate. Do not continue headed towards an eternity of this terrible state. 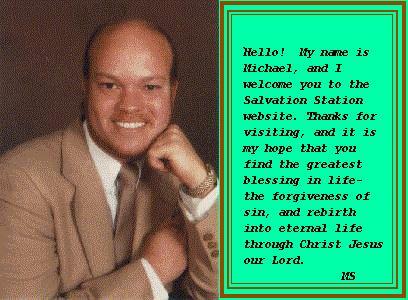 A "so great" salvation was provided in the Messiah who came to save Mankind from their sins. Not only did His coming provide for us to be spared GOD's coming wrath but also to be restored to a right relationship of love with Him, and to dwell in the presence of His glory forever. This is a complete reversal of destiny, for those who by faith receive Yeshua (Jesus) of Nazareth as Saviour and Lord. Information about this salvation is available here, at Salvation Station.